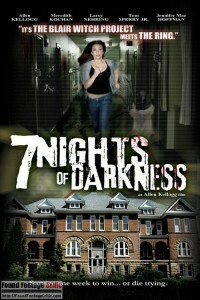 “7 Nights of Darkness” is a found footage film and horror movie written and directed by Allen Kellogg. The film follows six reality show contestants who must spend seven nights in an abandoned asylum to collect their share of a one million dollar grand prize. The film was released in 2011, which was a noteworthy year for the found footage genre—no less than fifty-four found footage films were released in 2011, including the found footage classic, Grave Encounters (2011). Allen Kellogg’s 7 Nights of Darkness (2011) was later followed by the sequel, The Devil’s Toybox (2017). The sequel was also helmed by Allen Kellogg and includes the return of two key characters from the first film. 7 Nights of Darkness opens with six, somewhat confused, people in the lobby of an abandoned asylum. 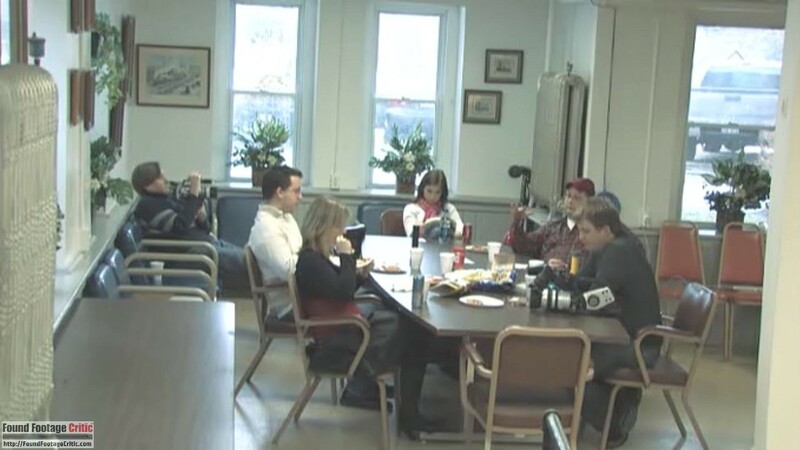 The conversation amongst the group quickly reveals that they are meeting for the first time and only have a vague understanding of what is expected. Apparently, these six individuals were selected as contestants on a reality show with a one million dollar prize. Contestants who stay a full seven days in the supposedly haunted facility split the cash prize. On a table in the lobby of the abandoned asylum are four flashlights, batteries, and seven envelopes containing tasks the group must perform during each of the seven days of their stay in the facility. Eager to earn their share of the sizable prize, the group opens the first envelope, which instructs them to split into two groups and explore the basement and second floor of the creepy building. The first task is completed without incident, although several of the contestants are on edge, believing the producers of the show will orchestrate fake jump scares and use other tactics for dramatic effect. As the days progress, the group bears witness to increasingly strange phenomena in the uninviting facility. Are these unearthly events real or a fabrication intended to increase ratings? The horrific footage reveals the truth. The found footage cinematography is good throughout most of 7 Nights of Darkness. 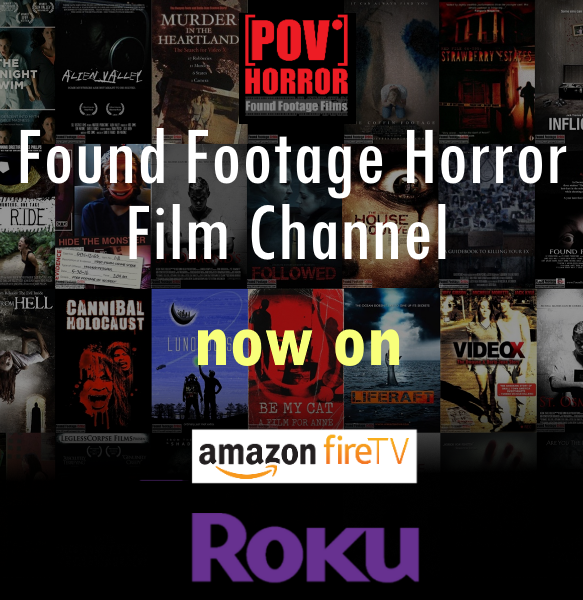 All of the footage used in the film is captured through a combination of two handheld video cameras held by the show contestants and fixed position surveillance cameras located throughout the abandoned asylum. 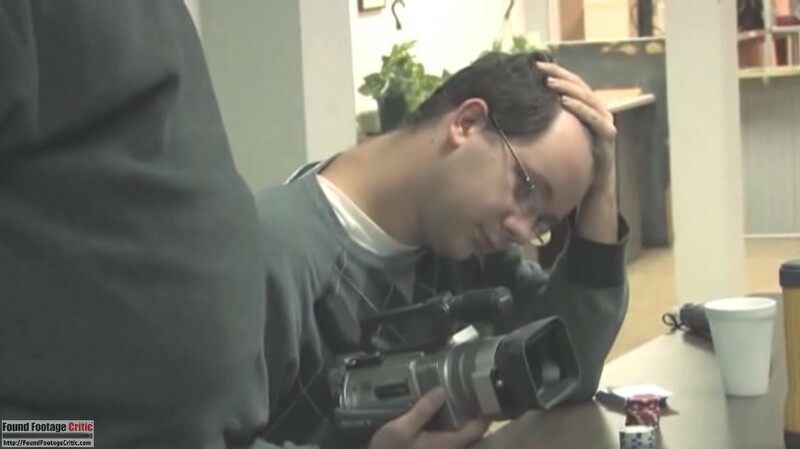 At the opening of the film, two of the contestants reveal that the producers provided them with handheld video cameras just as they arrived at the abandoned asylum, with no instruction on how to use the video cameras. At one point during the opening scenes, the contestants acknowledge that they have no (or minimal) experience using a video camera. Considering the contestants’ lack of cinematography experience, the handheld footage captured throughout the film comes across as too polished and consistent for having been filmed by multiple amateurs with minimal (if any) filmmaking experience. Despite this incongruity, for most viewers, the cinematography will likely maintain the illusion of having been filmed by the group of contestants. The fixed position security cameras look convincing, although they lack the on-screen graphics often saved on surveillance footage. Then again, if this footage was captured for a reality show, it’s conceivable that the on-screen overlays were disabled on the surveillance video cameras. 7 Nights of Darkness (2011) does an exceptional job with low light filming. 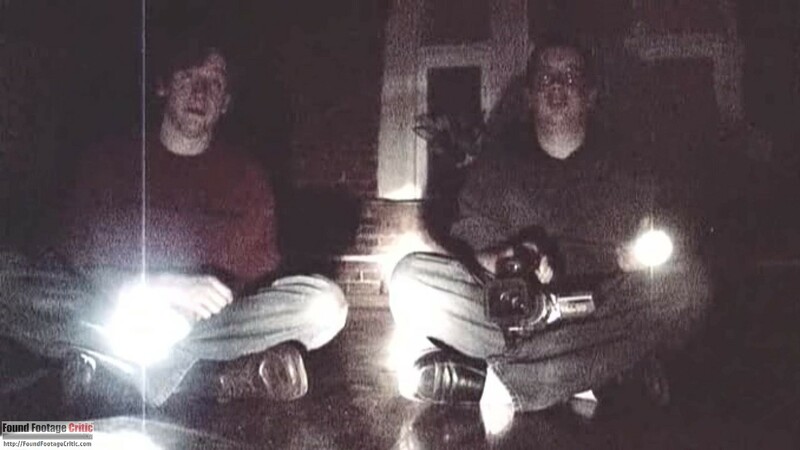 Unlike most paranormal found footage films, which rely on night vision, 7 Nights of Darkness (2011) appears to use a combination of the video camera on-board spotlight and handheld flashlights to capture footage in low light. This cinematic technique creates a unique creepy and claustrophobic atmosphere that night vision alone can not replicate. We commend director Allen Kellogg for providing a particularly strong filming reason that spans most of 7 Nights of Darkness (2011). The six contestants are driven by their motivation to win the one million dollar cash prize, and for this reason alone, the characters closely adhere to the rules of the show, which include filming everything. Further strengthening the group’s resolve to film is their belief that the paranormal activity they encounter is the orchestration of the show’s producers trying to scare them, not actual paranormal activity. Although members of the group are often frightened by what they see and hear, in the back of their minds, they are convinced that they are taking part in an elaborate hoax. Layered atop this primary filming reason, the characters often use the video camera spotlight as a makeshift flashlight, further explaining why footage is captured during some of the more stressful sequences of 7 Nights of Darkness (2011). The show producers provided the six contestants with two video cameras and four flashlights—ensuring that two contestants would be forced to use video cameras to see in the dark recesses of the abandoned facility. The strategically placed fixed position surveillance video cameras located throughout the facility are presumably configured to continuously record throughout the seven-day event, removing any doubt as to why and how the surveillance footage is captured. The found footage purity is a measure of how well a film comes across as actual found footage. This rating criterion considers the cinematography, sound, filming reason, acting, and a myriad of other factors. 7 Nights of Darkness (2011) does a good job at maintaining its found footage conceit for most of the film. The polished look of the footage itself (as a reality TV show) is explained by an opening text card in the film that states that an editor working for the network that produced the show pieced together the recovered footage. The veracity of 7 Nights of Darkness (2011) is grounded by the film’s reality show premise. Like so many like-minded shows that have come before and after, 7 Nights of Darkness (2011) follows a typical reality TV formula. A group of people with vastly different backgrounds, beliefs, and sensibilities are thrust under one roof and forced to live together and work as a team. 7 Nights of Darkness (2011) opens with a group of six strangers who convincingly converse with one another in an effort to understand their collective situation and learn more about the people they will be spending the next week with. The film goes so far as to have the obligatory self-confessionals, where each of the characters films in private, describing their background, motivations, fears, and general thoughts as the week progresses. These self-confessional segments go a long way towards maintaining the pacing, while making the film look and feel like an actual reality TV show. While director Allen Kellogg does an exceptional job maintaining the found footage premise of 7 Nights of Darkness (2011), the film has one scene that is shot using traditional narrative filmmaking—a stinger segment that comes after the closing credits. 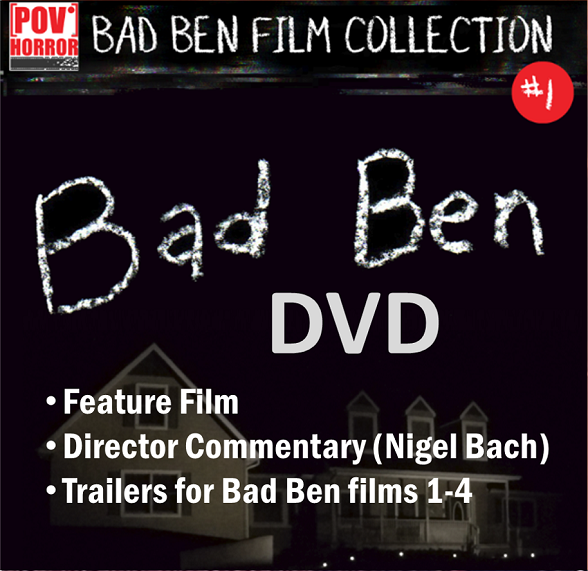 Viewers are encouraged to watch the film through its conclusion. This short, yet poignant, segment goes a long way towards tying the story together. 7 Nights of Darkness (2011) includes mild sound design, added to raise tension, during some of the more frightful scenes towards the end of the film. While sound design is typically frowned upon in a found footage film, the trope is used somewhat sparingly and will most likely go unnoticed by most viewers. The ensemble cast in 7 Nights of Darkness (2011) does a commendable job. Meredith Kochan does a great job as the personable and bubbly character, Brooke. Her performance is by far the most natural and believable amongst the ensemble cast. Director Allen Kellogg plays character Carter, who during an early self-confessional session says, “I hate ghosts. I hate noises. I hate darkness. But I need the money so I’m here…” These lines sum up the nature of his character, who is afraid of his own shadow, but reluctantly goes along for the ride to win the one million dollar cash prize. Quite the opposite of Carter is the somewhat loopy character Lina, played by Jennifer Hoffman. Lina is a true believer in the paranormal and supernatural. Her motivations for participating in the reality show are to hopefully encounter something. She’s a true believer and wants to make contact with the world beyond. Larry Nehring turns in a good performance as John, a pragmatist and the outspoken alpha member of the group. John constantly cuts down his colleagues in an attempt to keep everyone focused on the goal of their stay, to win a share of one million dollars. Tom Sparry Jr. plays Nick, an unassuming personality and construction worker who wants to use his share of the prize to pay off his debts and start his own business. Rounding out the cast is Andrew Richardson as Randy, who, like Nick, is participating strictly for the cash prize. 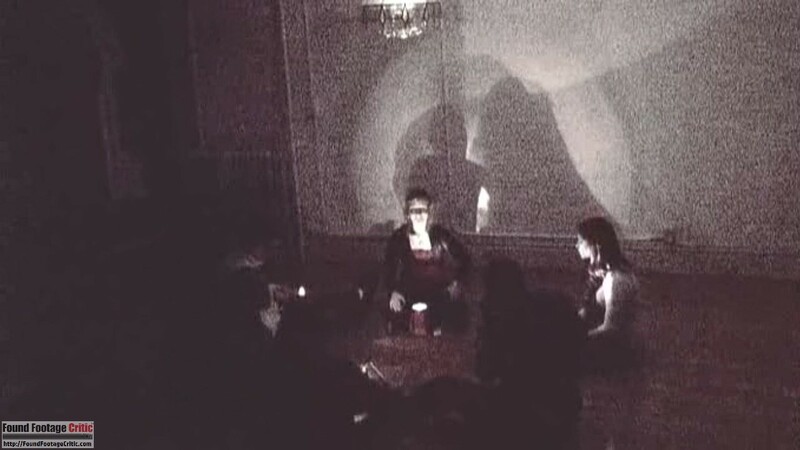 For a film that was produced in the early growth of the found footage genre, 7 Nights of Darkness (2011) makes several noteworthy contributions to the found footage genre—the effective use of a reality show format as a vehicle to tell a story; exceptional lighting, and a robust filming reason. While 7 Nights of Darkness (2011) was an early adopter using the reality TV trope, it is not the first film to do so. Series 7: The Contenders (2001), a found footage film where contestants are pitted against each other in a fight to the death, was one of the earliest (if not first) found footage film to take a reality TV approach. Several years after 7 Nights of Darkness (2011), the film 21 Days (2014) followed suit with a story involving a paranormal challenge where a group of people barricades themselves in a haunted house for twenty-one days. Of particular interest, however, is the classic found footage film Grave Encounters (2011), which came out the same year as 7 Nights of Darkness (2011). In a similar vein to the subject of this review, Grave Encounters (2011) is about a ghost-hunting reality show where the producers (rather than contestants) lock themselves in an abandoned mental hospital that is supposedly haunted. While these two films are vastly different, they also share several similarities in plot elements and CGI. Both films were released in the heyday of paranormal ghost-hunting based found footage films. Where 7 Nights of Darkness (2011) shines and stands apart from other films is in the plot. The mystery behind the unseen parties that orchestrated the reality show that these six contestants are taking part in adds a great deal of unease to the story and a heightened sense of fear. One question raised by this reviewer during and even after the film was the motivation behind the reality TV show. 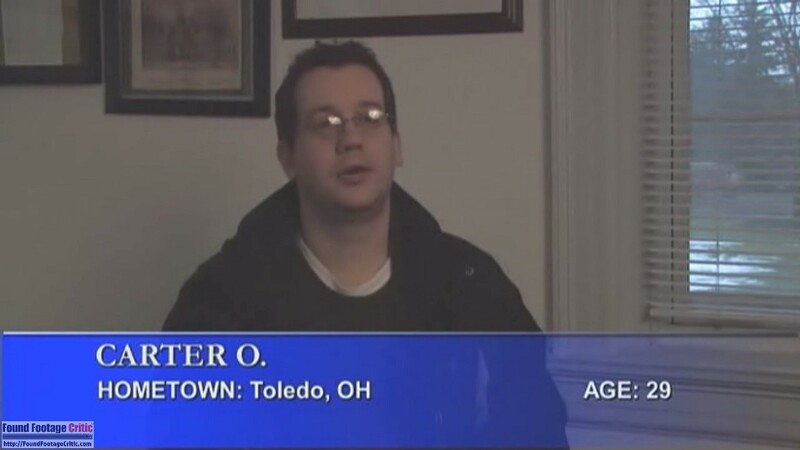 Did the producers innocently set out to make a reality show in a supposedly haunted house? Or, did they have more nefarious motives? We posed this question to Allen Kellogg, and his response was as baffling as the question itself, “That’s a good question that I do have an answer to, but won’t address unless there’s a third movie.” The sequel, The Devil’s Toybox (2017), sheds some light on the franchise mythos, but fans will have to wait for a third film (fingers crossed) for the complete story. 7 NIGHTS OF DARKNESS is a classic found footage film released in the early growth of the genre. 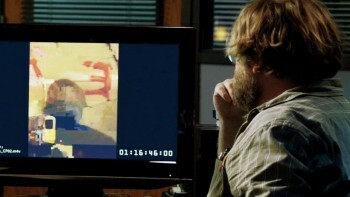 The film is an exceptional example of how a reality TV format can be used as a vehicle to tell a found footage story.